ED Noor: This article comes from Rolling Stone. The last time I posted an article by this author, some readers were unhappy at the fact that it came from Rolling Stone, a magazine we all know is owned by our dear friends. Therefore the piece was suspect they said; the following piece is important ~ important enough to remind you that every time you see those words like "Illuminati" or "bankers" etc etc, you know who we are really speaking about. The players may be a little different, but your basic premise is correct: The world is a rigged game. We found this out in recent months, when a series of related corruption stories spilled out of the financial sector, suggesting the world's largest banks may be fixing the prices of, well, just about everything. "dwarfs by orders of magnitude any financial scam in the history of markets." 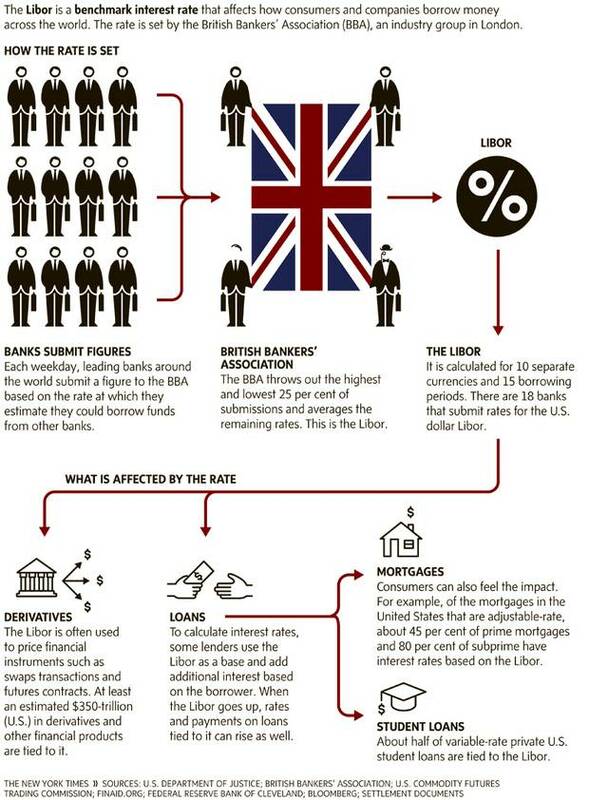 It should surprise no one that among the players implicated in this scheme to fix the prices of interest-rate swaps are the same megabanks ~ including Barclays, UBS, Bank of America, JPMorgan Chase and the Royal Bank of Scotland ~ that serve on the Libor panel that sets global interest rates. The bad news didn't stop with swaps and interest rates. In March, it also came out that two regulators ~ the CFTC here in the U.S. and the Madrid-based International Organization of Securities Commissions ~ were spurred by the Libor revelations to investigate the possibility of collusive manipulation of gold and silver prices. "Given the clubby manipulation efforts we saw in Libor benchmarks, I assume other benchmarks ~ many other benchmarks – are legit areas of inquiry," CFTC Commissioner Bart Chilton said. A lot of people would love to get their hands on this document! All of these stories collectively pointed to the same thing: These banks, which already possess enormous power just by virtue of their financial holdings ~ in the United States, the top six banks, many of them the same names you see on the Libor and ISDAfix panels, own assets equivalent to 60 percent of the nation's GDP ~ are beginning to realize the awesome possibilities for increased profit and political might that would come with colluding instead of competing. If true, that would leave us living in an era of undisguised, real-world conspiracy, in which the prices of currencies, commodities like gold and silver, even interest rates and the value of money itself, can be and may already have been dictated from above. And those who are doing it can get away with it. Forget the Illuminati ~ this is the real thing, and it's no secret. You can stare right at it, anytime you want. Dating back perhaps as far as the early Nineties, traders and others inside these banks were sometimes calling up the company geeks responsible for submitting the daily Libor numbers (the "Libor submitters") and asking them to fudge the numbers. Usually, the gimmick was the trader had made a bet on something ~ a swap, currencies, something ~ and he wanted the Libor submitter to make the numbers look lower (or, occasionally, higher) to help his bet pay off. Screwing around with world interest rates that affect billions of people in exchange for day-old sushi ~ it's hard to imagine an image that better captures the moral insanity of the modern financial-services sector. Hundreds of similar exchanges were uncovered when regulators like Britain's Financial Services Authority and the U.S. Justice Department started burrowing into the befouled entrails of Libor. 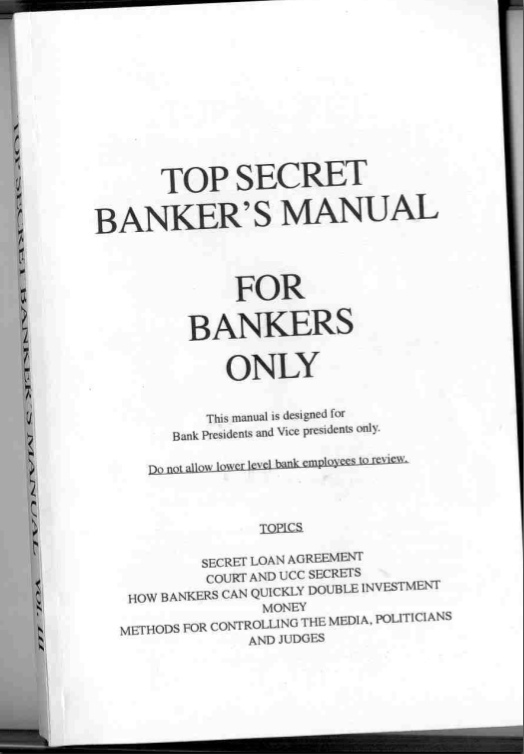 The documentary evidence of anti-competitive manipulation they found was so overwhelming that, to read it, one almost becomes embarrassed for the banks. "It's just amazing how Libor fixing can make you that much money," chirped one yen trader. "Pure manipulation going on," wrote another. ED Noor: Such miniscule fines compared to such outstanding profits can only be described as a tax or the cost of doing business to these criminals. 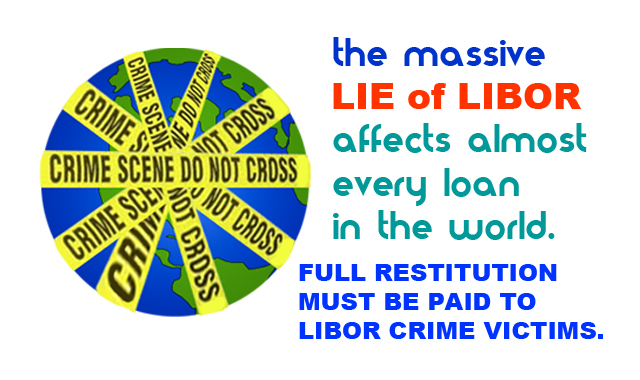 The relatively small sums of money extracted in these settlements did not go toward reparations for the cities, towns and other victims who lost money due to Libor manipulation. Instead, it flowed mindlessly into government coffers. So it was left to towns and cities like Baltimore (which lost money due to fluctuations in their municipal investments caused by Libor movements), pensions like the New Britain, Connecticut, Firefighters' and Police Benefit Fund, and other foundations ~ and even individuals (billionaire real-estate developer Sheldon Solow, who filed his own suit in February, claims that his company lost $450 million because of Libor manipulation) ~ to sue the banks for damages. "Our goal here is not to destroy a major financial institution." In any case, this all-star squad of white-shoe lawyers came before Buchwald and made the mother of all audacious arguments. Robert Wise of Davis Polk, representing Bank of America, told Buchwald that the banks could not possibly be guilty of anti-competitive collusion because nobody ever said that the creation of Libor was competitive. "It is essential to our argument that this is not a competitive process," he said. 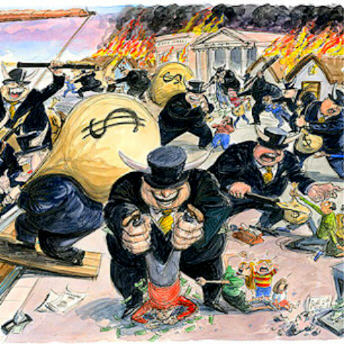 "The banks do not compete with one another in the submission of Libor. If you squint incredibly hard and look at the issue through a mirror, maybe while standing on your head, you can sort of see what Wise is saying. 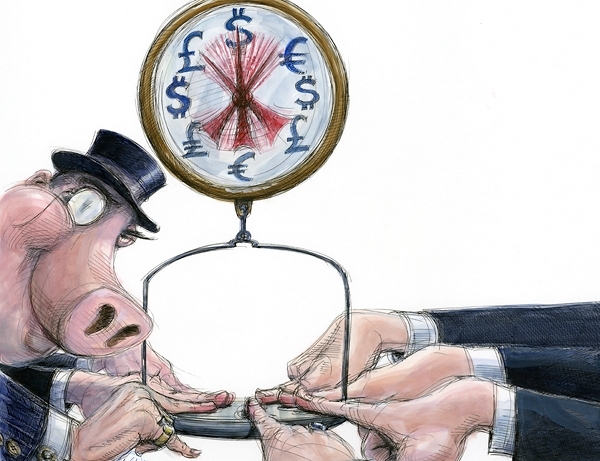 In a very theoretical, technical sense, the actual process by which banks submit Libor data ~ 18 geeks sending numbers to the British Bankers' Association offices in London once every morning ~ is not competitive per se. But Wise eventually outdid even that argument, essentially saying that while the banks may have lied to or cheated their customers, they weren't guilty of the particular crime of antitrust collusion. Judge Buchwald swallowed this lunatic argument whole and dismissed most of the case. Libor, she said, was a "cooperative endeavor" that was "never intended to be competitive." Her decision "does not reflect the reality of this business, where all of these banks were acting as competitors throughout the process," said the antitrust lawyer Sokol. 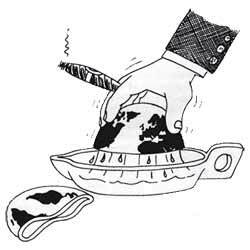 Buchwald made this ruling despite the fact that both the U.S. and British governments had already settled with three banks for billions of dollars for improper manipulation, manipulation that these companies admitted to in their settlements. "It's now evident that there is a ubiquitous culture among the banks to collude and cheat their customers as many times as they can in as many forms as they can conceive," he said. "And that's not just surmising. This is just based upon what they've been caught at." Greenberger says the lack of serious consequences for the Libor scandal has only made other kinds of manipulation more inevitable. "There's no therapy like sending those who are used to wearing Gucci shoes to jail," he says. "But when the attorney general says, 'I don't want to indict people,' it's the Wild West. There's no law." In practice, it might be a country like Greece or a regional government like Jefferson County, Alabama, that borrows money at a variable rate of interest, then later goes to a bank to "swap" that loan to a more predictable fixed rate. The CFTC has sent subpoenas to ICAP and to as many as 15 of those member banks, and plans to interview about a dozen ICAP employees from the company's office in Jersey City, New Jersey. Oliver Wyman is the same company that the British Bankers' Association hired to review the Libor submission process after that scandal broke last year. The upshot of all of this is that it looks very much like ISDAfix could be Libor all over again. 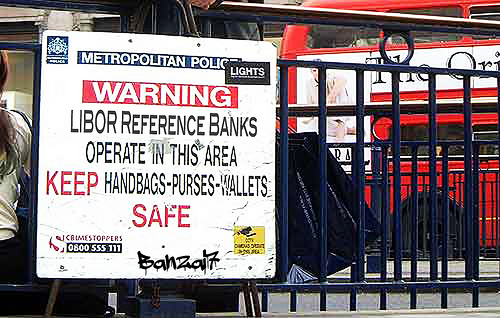 So although it's not quite as widespread as Libor, ISDAfix is sufficiently power-jammed into the world financial infrastructure that any manipulation of the rate would be catastrophic ~ and a huge class of victims that could include everyone from state pensioners to big cities to wealthy investors in structured notes would have no idea they were being robbed. Any delay in entering price data would provide the banks involved in the transactions with a rare opportunity to trade ahead of the information. One way to imagine it would be to picture a racetrack where a giant curtain is pulled over the track as the horses come down the stretch ~ and the gallery is only told two minutes later which horse actually won. Anyone on the right side of the curtain could make a lot of smart bets before the audience saw the results of the race. "That allows dealers to tell the brokers to delay putting trades into the system instead of in real time," Bloomberg wrote, noting the former broker had "witnessed such activity firsthand." An ICAP spokesman has no comment on the story, though the company has released a statement saying that it is "cooperating" with the CFTC's inquiry and that it "maintains policies that prohibit" the improper behavior alleged in news reports. What other markets out there carry the same potential for manipulation? The answer to that question is far from reassuring, because the potential is almost everywhere. From gold to gas to swaps to interest rates, prices all over the world are dependent upon little private cabals of cigar-chomping insiders we're forced to trust. We all have to rely upon the honesty of companies like Barclays (already caught and fined $453 million for rigging Libor) or JPMorgan Chase (paid a $228 million settlement for rigging municipal-bond auctions) or UBS (fined a collective $1.66 billion for both muni-bond rigging and Libor manipulation) to faithfully report the real prices of things like interest rates, swaps, currencies and commodities. All of these benchmarks based on voluntary reporting are now being looked at by regulators around the world, and God knows what they'll find. The European Federation of Financial Services Users wrote in an official EU survey last summer that all of these systems are ripe targets for manipulation. "In general," it wrote, "those markets which are based on non-attested, voluntary submission of data from agents whose benefits depend on such benchmarks are especially vulnerable of market abuse and distortion." It's not just stealing by reaching a hand into your pocket and taking out money, but stealing in which banks can hit a few keystrokes and magically make whatever's in your pocket worth less. 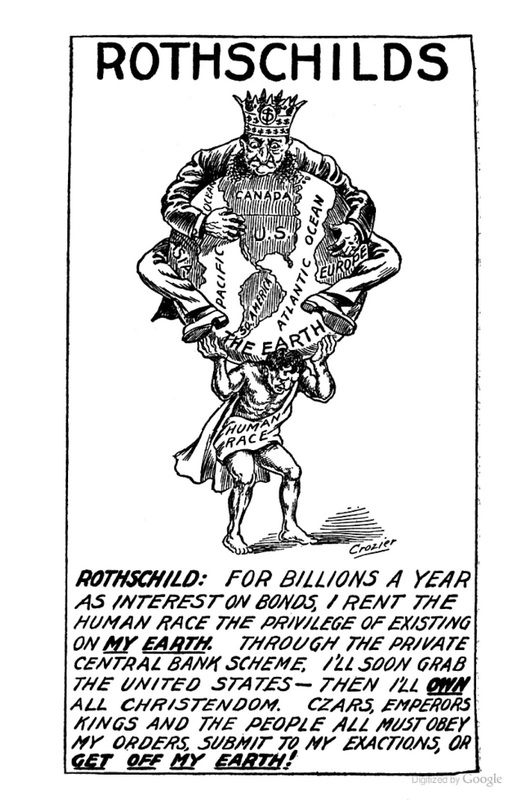 This is corruption at the molecular level of the economy, Space Age stealing ~ and it's only just coming into view. I have been saying the same thing about all these Illuminati conspiracies for some time. 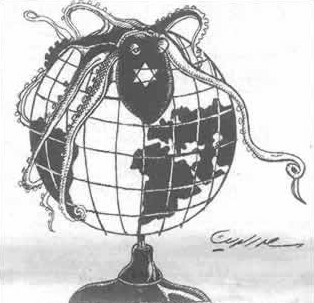 Illuminati or bankers or maybe UFOs, are all Jews. The rest is just pure bs.